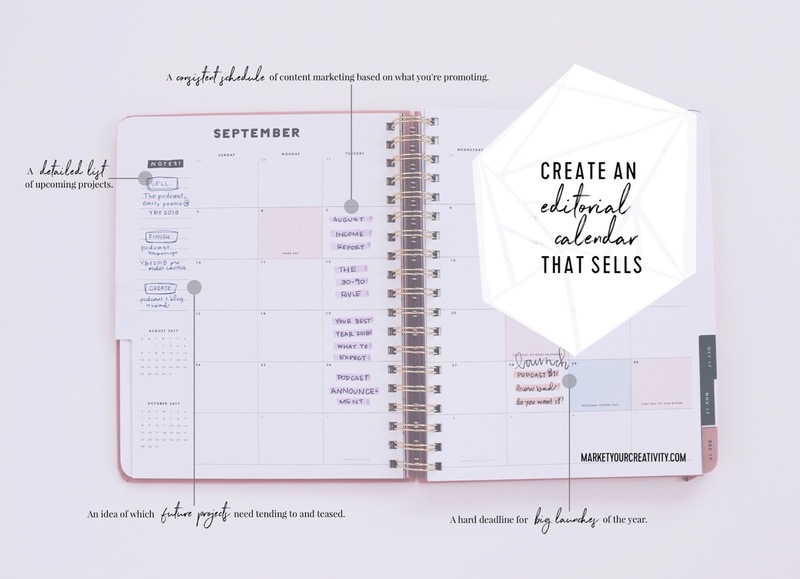 Get ready to create an editorial calendar that sells! This article will help you better align your content with your growth and profit strategies for the year. The editorial calendar’s purpose is to help you make the most out of every update. 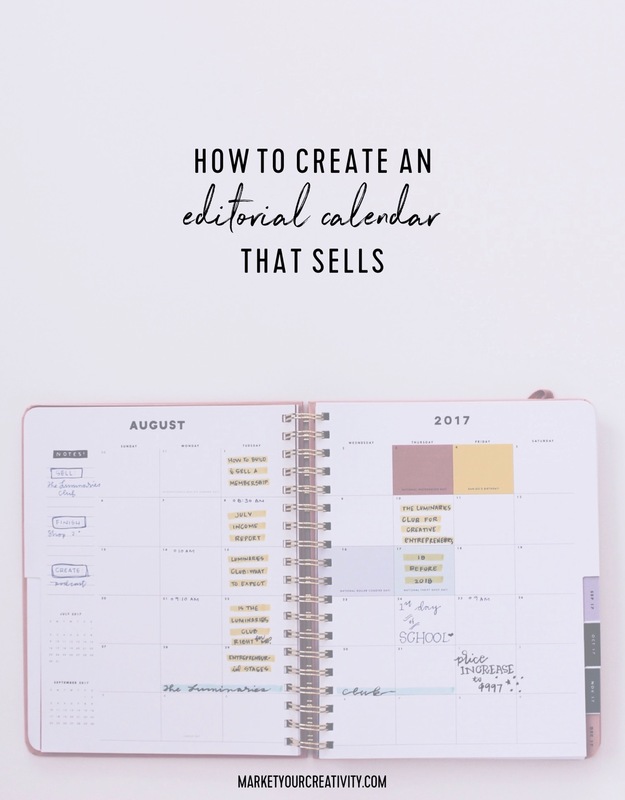 how to make an editorial calendar sell for you! I’m also going to shed some light on content marketing, which is what an editorial calendar consists of. Even if all you write is social media updates, you’ll still want to employ this practice for your business. While content marketing is conversational and casual, it has a purpose. Instagram captions, Facebook status updates, blog posts, and even Pinterest comments should be used to help reach and engage with your potential customers. If done well, the same posts will simultaneously build a more trusting relationship with actual customers. An editorial calendar will help you develop a rhythm that ties your content together. When I’m working on a new project, I use my editorial calendar to schedule posts months before its release. Before we get to content, you’ll need an annual strategy for your business. First, look at a 12-month calendar and identify where you’ll need time off, such as summer vacation, winter holidays, important dates, back to school, etc. List these special events on your calendar before listing business-related projects or promotions. This enables you to keep your priorities in order of importance: Your life then your business. Next, add your money makers. There are many different ways your business can earn money, but I’m going to advise you to specifically name three to six money makers. These will be the larger promotions or projects that anchor your entire year. In business, writing always falls into one of two categories: content marketing or copywriting. Anytime you address your customers online, you’re doing one or the other. Both should be done with an end result in mind, but content marketing is more conversational and casual than its counterpart (copywriting). It’s used to reach and engage your potential customers. Whether you share a status update on Facebook, caption an Instagram photo, or write an in-depth blog post, it’s a form of content marketing. Because content marketing is so conversational, knowing your ideal customer is vital to its success. 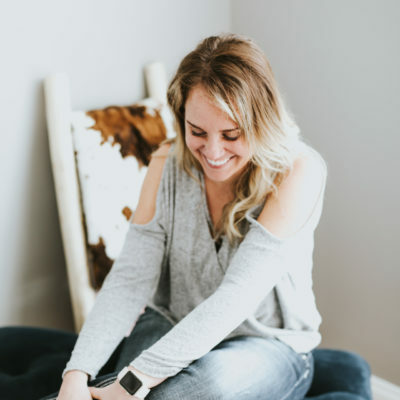 The best conversations in life are genuine and interested in the other person, and good content marketing will appeal to your customer because it’s genuinely interested in them. Moreover, your content marketing needs to be inclusive and evergreen. It lives online, and it will meet different people every day. In fact, your writing is greeting people right now as you’re reading this. It’s going to feel very familiar to some and introductory to others. Now, you’re either my long-term reader or a new acquaintance who’s just found me on Pinterest, but can you see how this article appeals to both? My long-term reader is enjoying yet another blog post of insanely useful marketing hacks, while my new acquaintance is getting to know me (but also eating up my take on editorial calendars). Either way, you’re my ideal customer (whose profile I’ve come to know very well). 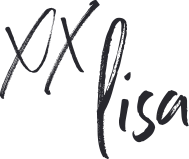 This post was written with purpose, designed to matter; it’s here to help me reach and engage my dream clients. Fifty thousand people will read this post by month’s end, but it’s written for YOU. See how that works? To know your ideal customer and deeply understand WHY that person is coming to you, you will write in a way that makes her feel heard and understood. When a customer feels this, it’s as if you’re speaking directly to her and her needs. It allows them to let their guard down. They think, You “get” me. It builds trust and loyalty. And trust me when I say, you cannot build a thriving online business without truly “getting” your customers. Now that we’ve discussed the ingredients of your editorial calendar, it’s time to put it all together in a delicious recipe for success! I highly recommend you separate this planner from everything else. Make it entirely its own thing. Before starting my own editorial calendar, I kept my blog notes everywhere: paper notebooks, emails to myself, virtual notes on every digital thing I use, Evernote, you name it. Now blog notes, ideas to share, future headlines, and rough draft outlines have only one place to live. In the “notes” section of my pictured editorial calendar, the first thing I do is list what I plan to sell that month. Too often in online business, we get so caught up in chatty conversation and enticing headlines that we forget the big picture. Your “sell” list should be the first thing on your editorial calendar every month. Even if you don’t have a big ask to make that month, know what you’ll be selling next month so you can start building anticipation for it ahead of time. The key ingredient of an editorial calendar that sells is simply knowing what to sell at any given time (hence the annual strategy and sidebar notes), but I also love to have an idea of any future projects that may need tending to and teased. I often find great opportunities to build anticipation for future projects as I’m promoting the current offer. There’s no set rule as to how often you have to post, but you do need a consistent schedule that readers can rely upon. I post every Tuesday and email every Thursday, like clockwork. What you post about each week should be directly related to the things you sell for business. For example on September 1, The Luminaries Club will see a price increase on lifetime memberships. Therefore, I’ll dedicate August headlines to all things club-related so readers won’t miss a good price before it’s gone. In September, I’ll be recording and launching a new podcast and pre-releasing Your Best Year 2018 to my email list. All content will revolve around the podcast launch date and YBY2018 previews. I use the monthly spreads of my day planner to record the headlines of the articles I’m going to write that month. I use the weekly spreads meant for actual day planning to outline posts and jot down any notes I have on the topics. This is so you can announce them early and mention them often, but you’re also bound to meet them no matter what. Hi, Katherine! Good—so glad you found it useful. In my recent blog post I talked about all my planners. Its funny you say multiple planners may seem crazy to some because for me its a need. I have my main life planner, my homeschool planner, my blog/social media planner (the month view is my editorial calendar), my faith planner for my devotional and my bullet journal for my goals, list and collections. I so need to work on my new/updated annual strategy and I can not wait for the new YBY2018. Oh yeah, love the new website look by the way! Great Post. I think having a separate planner is what I have been missing. I appreciate all the specific ways you use it, ideas and this last statement “what you post about each week should be directly related to the things you sell”? So basic – but I haven’t been posting regularly because I don’t have a plan. Onward and forward. Also, I know you gave us the name of the planner you use – need to order one. Can you tell me again? Ban.do and Erin Condren are two of my favorites. Lately, I prefer the flat-lay of the Ban.Do.